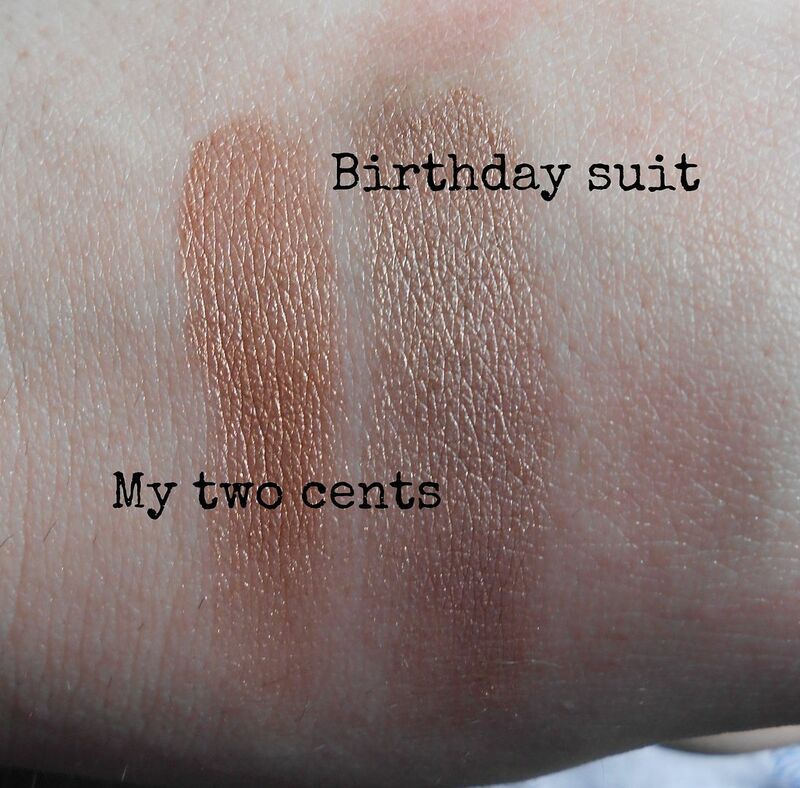 Wearing Birthday suit all with It’s complicated on the lid, Gilt-y pleasure in the crease, a tiny bit of Kiss me, I’m tipsy in the outer corner and Call my buff as a highlight. New to the Benefit block are three different eyeshadow kits, all sporting easy to wear but gorgeous nudes. Each set has 4 powder eyeshadows and 2 mini creaseless cream shadows. I think the kits are rather nifty, and the whole box is quite small and compact. 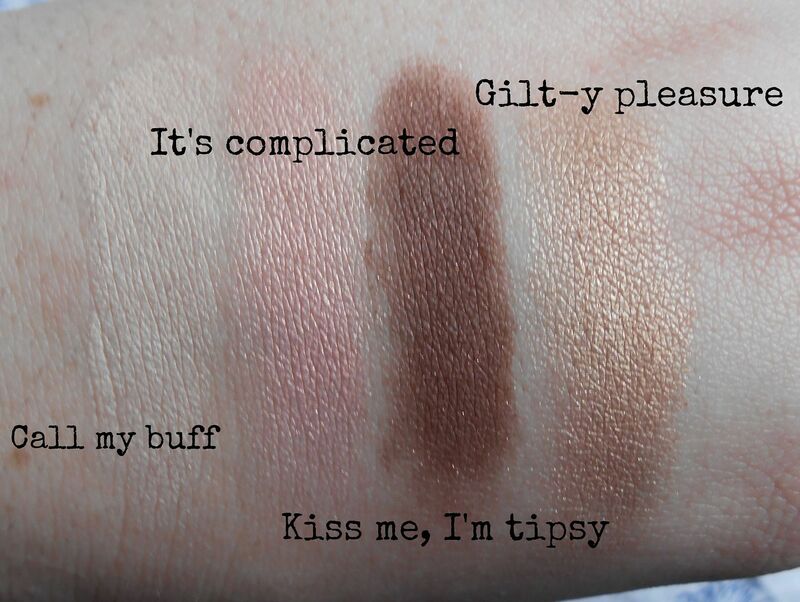 I picked the kit Most glamorous nudes ever, which has the powder shades Call my buff, Kiss me, I’m tipsy, It’s complicated, Gilt-y pleasure & the cream shadows in Birthday suit and Two cents. The shadows feel buttery soft and smooth, and the cream shadows feel so soft. 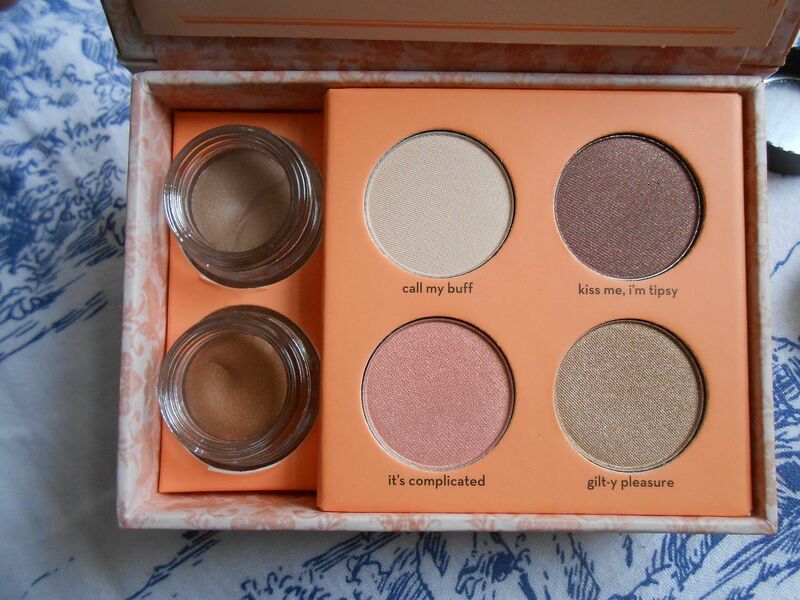 I’ve never tried any shadows from Benefit before, so I was excited to see 4 shadows in a convenient little kit. 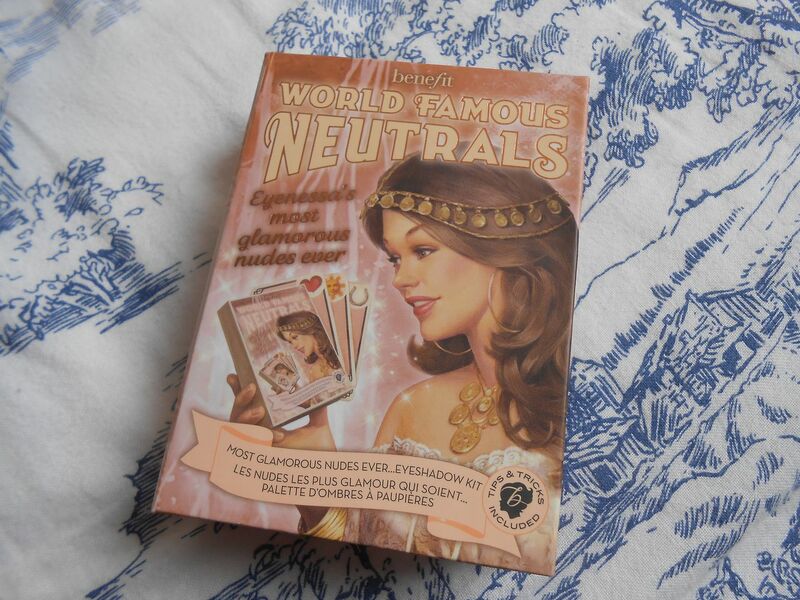 I also adore the packaging, it’s classic Benefit. 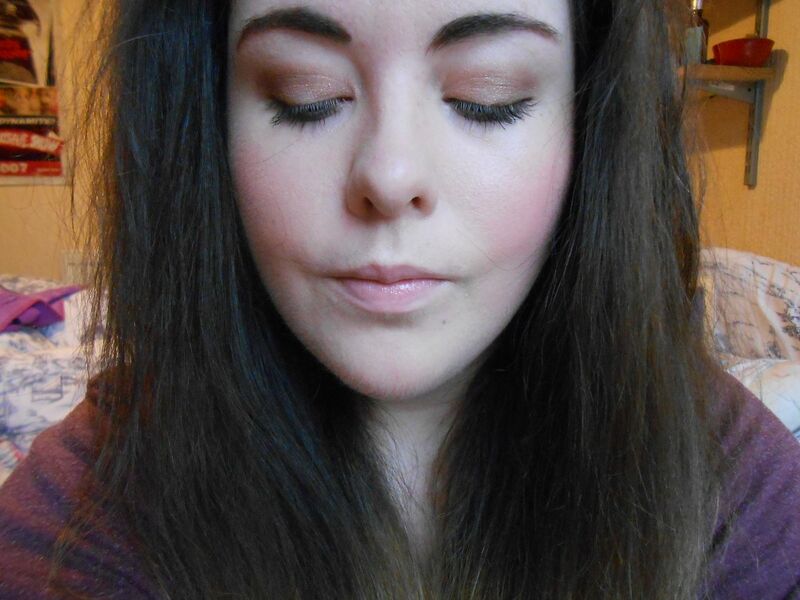 There’s a girl called Eyenessa who apparently loves neutrals. The colours in the set all go really nicely together as well, you can tell the kits have been well thought out. The sets are currently on offer for £21 from Debenhams – link!